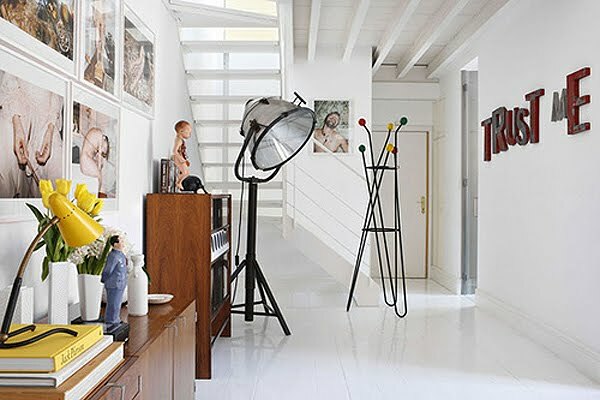 This is the dream loft of Spanish designer David Elfin. This is such a great urban loft. 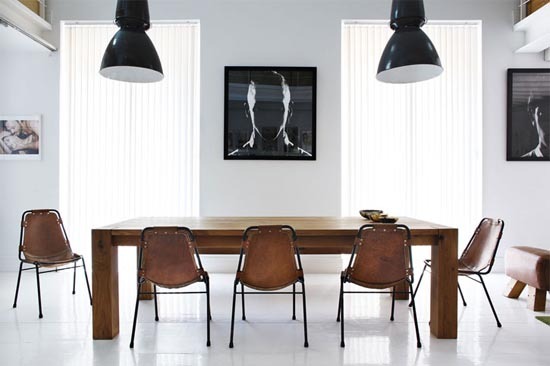 I love the combination of high ceilings and white floors and walls. 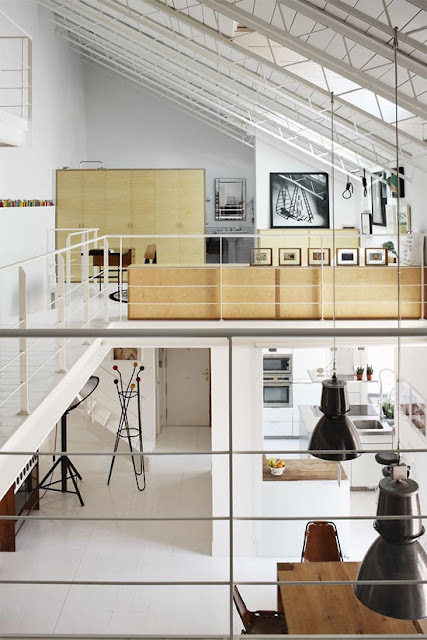 It gives the loft a fresh and open sphere. And what about his furniture? What a choice!! It's the perfect match. Q. 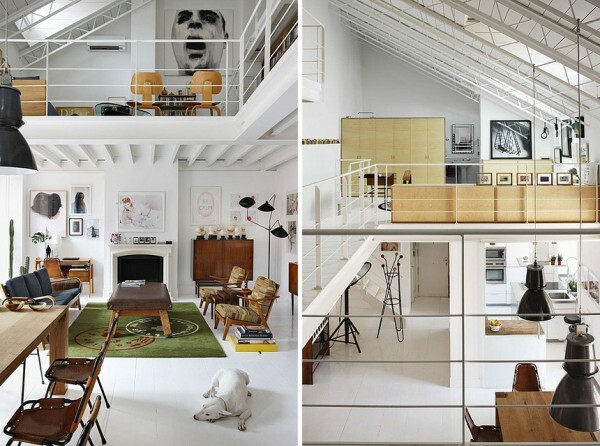 What do you think of this loft? Do you like it? Love it Lise. All those white glossy surfaces and fab wood furniture. Hope you had a good weekend - I've been busy with Decor8 e-course and only just catching up with my reading. Phew! Do I like it?? I LOVE it! This place is amazing. The artwork stunning! Just what I want, clean lines and BIG open spaces!!! Another great space for my wish list !!!! Have a great Week!!!! This is dreamy indeed! Love all the browns here, looks so warm! 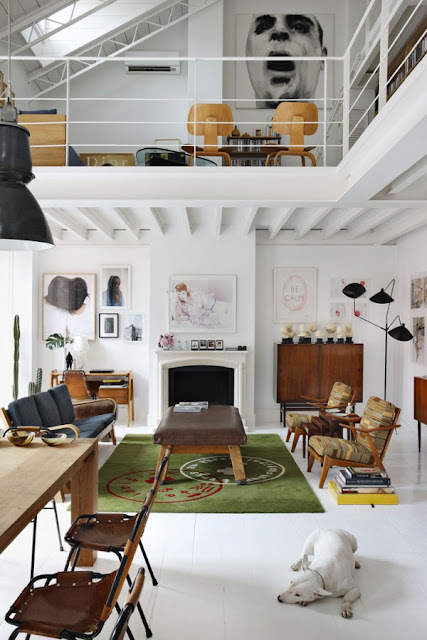 I have always wanted to live in a loft - there is something about the high ceilings and openness that gives lofts an ethereal feeling. Dreamloft? Yes! I have to agree with you on that! Fantastico! LOVE the loft! - can u imagine a single guy living here and visiting him - INSTANT connection - place is great!!!!! found u through delightful blogs - hope u can come by and join mine! Thanks for all your comments my friends! This is such an awesome spot! They have some really nice furniture too!